Please click the photos below to see the larger versions. Tioga is a beautiful bay and white homozygous tobiano stallion. He is standing 14.3 as a 3 year old. He has a very athletic build and still maintains a very natural fox trot. He is level headed, a gentle breeder and loves people. 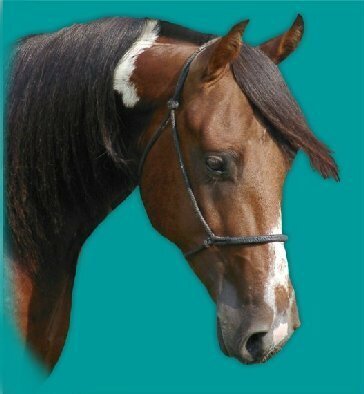 He minds very well and has all the attributes we've always wanted in a breeding stallion. Long flowing mane and tail. His first foal crop is due in 2005. They will all be blue papered... keep looking for them.